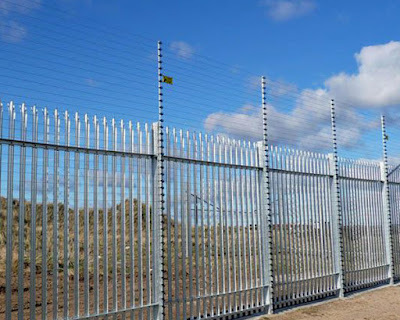 Most people are familiar with the idea of electric fence security and if you do a Google search for images of it you will typically see pictures of straight lines of perimeter fencing with electric fencing mounted on top. 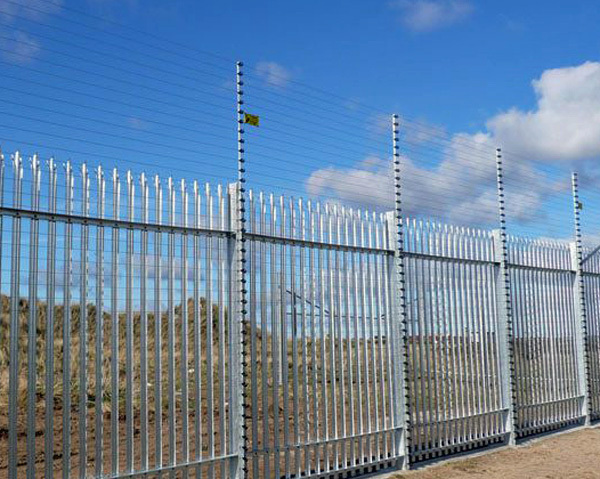 Perimeter fences, however, are not just straight lines. 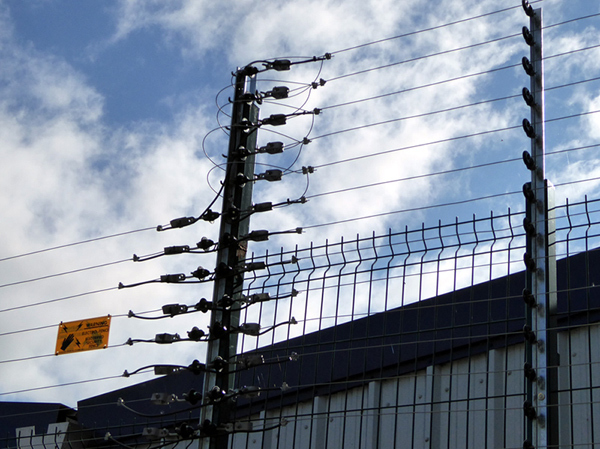 They have changes of direction, usually 90 degrees. 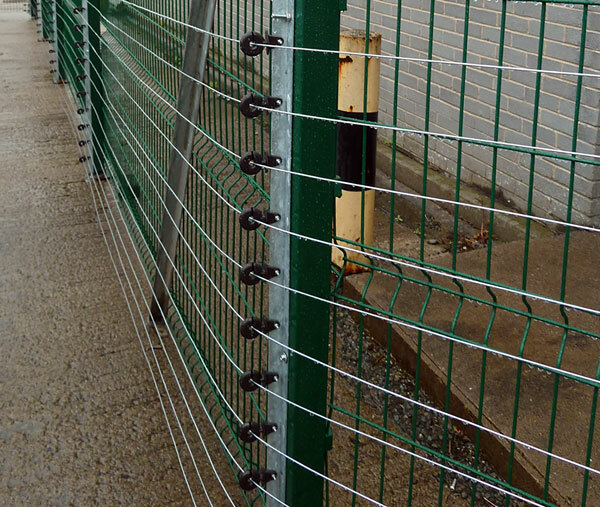 A typical outdoor site with a perimeter fence will be square or rectangular in shape. 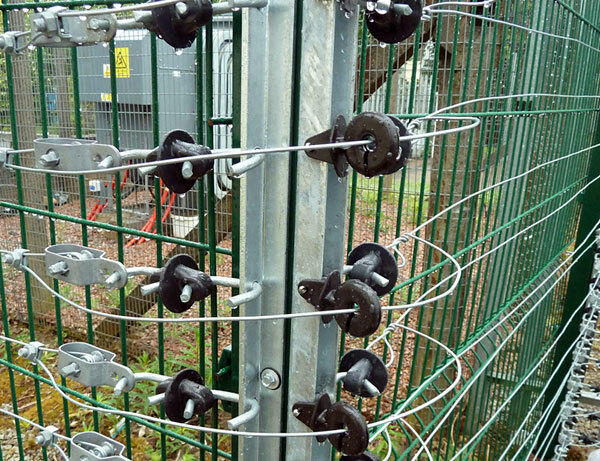 So the when the fence has a change of direction it will usually be 90 degrees in each instance. 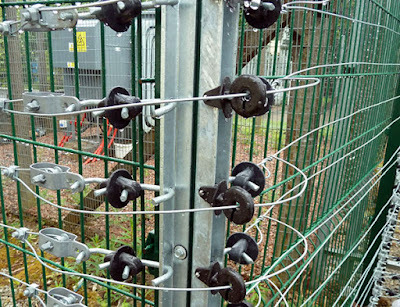 Occasionally there will be different angles involved in the fence line, such as in this example below where the direction change is relatively minimal but nevertheless significant for the electric fence installer. Security electric fencing can easily cope with this but what about sites which have a more complex shape to their perimeter? 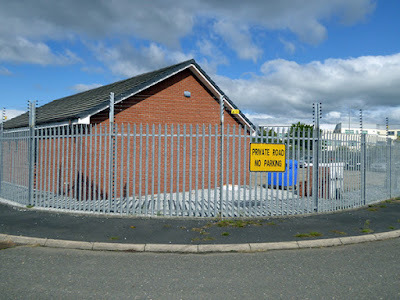 The fence might even have curves, such as this vehicle compound where the perimeter curves right round a bend following the line of the adjacent road. As land available for development becomes increasingly difficult to find, many new premises have to accept an unusual shape to their perimeter. Their security, however, need not be compromised because of this. 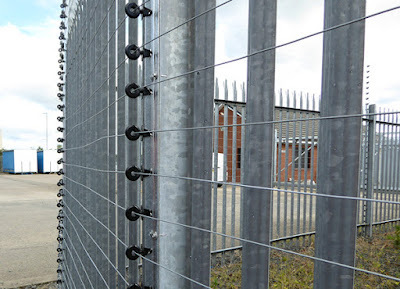 The flexibility of our security electric fencing ensures an effective solution.